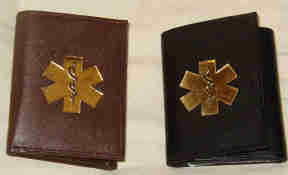 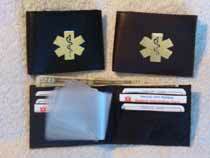 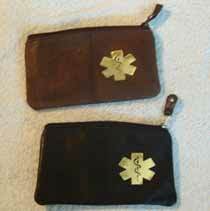 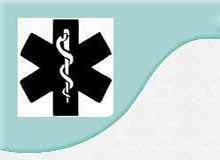 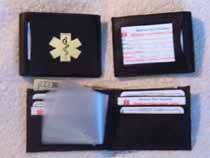 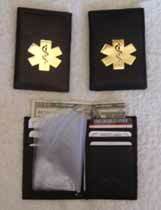 All Medical Alert Wallets, Leather Wallets have a medical symbol on the outside. 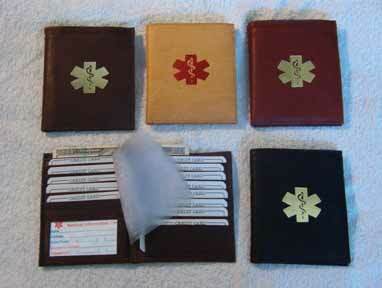 Some medical symbols are colored hot stamped, some are natural debossed and some are both. 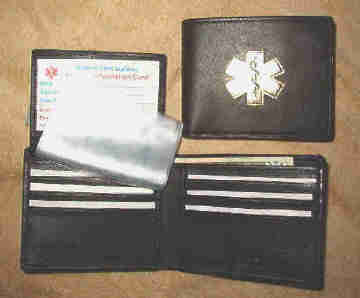 Click picture or word link for more info. 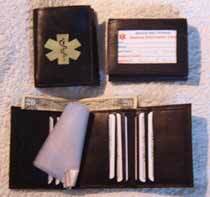 If for some reason you don't want to use PayPal secure online payment process, please click here.